The connections between various components of our health are not always self evident. Take high blood pressure as an example. You usually cannot detect elevated blood pressure, and you wouldn’t feel any different than if it was normal. Internally, however, higher blood pressure can slowly injure and narrow your arteries. The effects of damaged arteries can ultimately result in stroke, cardiovascular disease, or kidney disease, which is one of the reasons we have an yearly physical—to discover the existence of abnormalities before the dangerous consequences develop. The point is, we usually can’t detect high blood pressure ourselves, and often can’t instantly understand the link between high blood pressure and, for example, kidney failure many years down the road. But what we must understand is that every part of our body and aspect of our physiology is in some way related to everything else, and that it is our obligation to preserve and promote all components of our health. Similar to our blood pressure, we more often than not can’t detect small increments of hearing loss as it develops. And we certainly have a harder time envisioning the potential link between hearing loss and, say, dementia years down the road. And although it doesn’t seem as though hearing loss is directly connected with serious physical disorders and cognitive decline, the science is telling us the exact opposite. In the same way that increases in blood pressure can damage arteries and cause circulation problems anywhere in the body, hearing loss can reduce stimulation and cause damage to the brain. In fact, a 2013 study by Johns Hopkins University found that those with hearing loss acquired a 30-40 percent faster decline in cognitive function compared to individuals with normal hearing. Additionally, the study also found that the rate of cognitive decline was greater as the degree of hearing loss increased. Hearing loss can bring about social seclusion and depression, both of which are known risk factors for mental decline. Hearing loss causes the brain to transfer resources away from thinking and memory to the processing of fainter sounds. Hearing loss is a symptom of a common underlying injury to the brain that also impairs intellectual ability. Perhaps it’s a mix of all three, but what’s clear is that hearing loss is directly associated with declining cognitive function. Diminished sound stimulation to the brain changes the way the brain functions, and not for the better. Additional studies by Johns Hopkins University and others have revealed additional links between hearing loss and depression, memory issues, a higher risk of falls, and even dementia. The consequences are all related to brain function and balance, and if researchers are correct, hearing loss could very likely cause additional cognitive problems that haven’t yet been studied. To go back to the first example, having high blood pressure can either be disastrous to your health or it can be dealt with. Diet, exercise, and medication (if needed) can lower the pressure and maintain the health and integrity of your arteries. Hearing loss can similarly create problems or can be taken care of. What researchers have discovered is that hearing aids can mitigate or reverse the effects of cognitive decline by revitalizing the brain with enhanced sound. 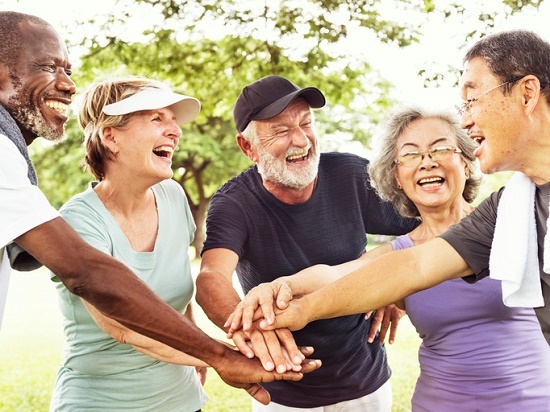 Improved hearing has been linked with greater social, mental, and physical health, and the gains in hearing strengthen relationships and improve conversations. The bottom line is that we not only have a lot to lose with untreated hearing loss—we also have much to gain by taking the steps to enhance our hearing.